This might not be the craziest or most lavish Batman product Hot Toys have ever made - that award goes to perhaps either their 1:12 scale version of The Bat or the ludicrously extravagant Dark Knight Armory - but this newly revealed Batman figure might just be the bulkiest pile of plastic Bat-muscle they've done. 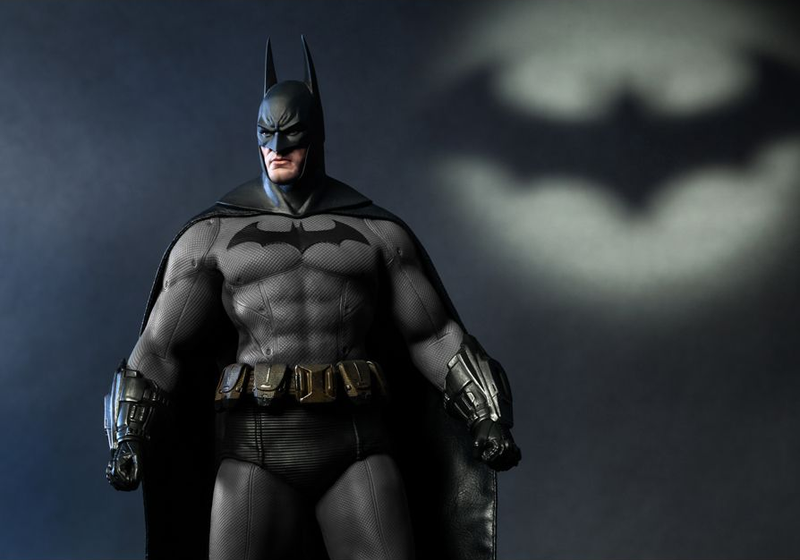 Created to celebrate the Dark Knight's 75th birthday, and based on Batman's appearance in the hit Rocksteady video game Batman: Arkham City, this 1:6 scale rendition is so muscled up the Hong Kong based toymaker actually includes its super bulkiness as a bullet point in its product release details. Aside from his marvellous physique, the figure also comes with a variety of hands to pose him combat ready, almost combat ready and relaxed (seriously, there's both 'partially clenched' and 'relaxed hands' in there. So many hands! ), as well as in a variety of grips to hold various bits of Batman's arsenal from the game, including a Batarang and the game's explosive Bat-Gel sprayer. He also comes with an alternate angry head, because duh. HE'S THE GODDAMN BATMAN. Grr, I am the Night, etc., etc. You can preorder the figure from Sideshow Collectables for the whopping-but-worth-it price (as it always is with Hot Toys) of $230 - but he won't be muscling his way onto your shelf until Q1 2015.